Low Carbohydrate – This diet has certainly had a lot of press in recent years. Some people will simply refer to it as the Atkins diet but in reality, there are many diets that follow this particular way of eating, including the South Beach diet and the Paleo diet. The premise behind a low carbohydrate diet is that it keeps the body burning fat for fuel rather than glucose. Since very few carbohydrates are being consumed, the body quickly runs out of glucose and looks to fat as a fuel source. As long as the dieter is kept in ketosis by restricting their carbohydrates, the fat will continue to burn 24 hours a day. The Low-Fat Diet – This is considered by many people to be among the healthiest diet of all time. It tends to focus more on protein and healthy carbs. The problem with a low-fat diet is that many people have difficulty staying on it long term. That is, of course, unless they go against the typical suggestions and focus more on carbohydrates. The Potato Diet – Although this diet is similar to a low-fat diet, it focuses on eating healthy carbohydrates (potatoes, rice, corn, etc.) and reducing the amount of protein and fats that are consumed. 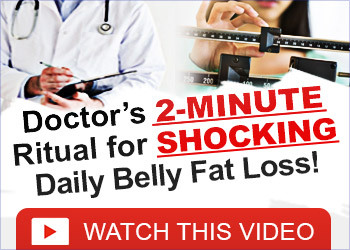 In fact, many people who promote this type of diet, including Dr. John McDougall, claim that eliminating all oils from the diet is the key to weight loss and health. Intermittent Fasting – Many people would consider this to be a method of weight loss but it is actually considered to be a very healthy way of eating. The real key to intermittent fasting is to avoid eating any food for anywhere from 16-24 hours straight. Most people find that it is best to go from the evening meal one day to the evening meal the next day so they have something to eat every day. Intermittent fasting 2 or 3 times per week can improve health in many ways. Detox Diets – One other option for a healthy diet plan is to detoxify. Typically, this type of diet would include fresh fruits and vegetable juices and is primarily a vegan diet. By removing toxins from the body, it can accelerate weight loss and facilitate good health. These are just a few of the many healthy diets available. When the right choice is made, it is more than a weight loss program, it is a diet for life.